Medical and healthcare domain happens to one of the most important domains of public services as it directly affects the life and health of the citizens. The medical industry (inclusive of the pharmaceutical sector) stands on the back of support of many professionals that acquire different roles and responsibilities and contribute to this system through their functioning. To keep the medical sector going strong on its foot services of many functionaries from Doctors to Nurses and from Pharmacist to Machine operators are required around the clock. On the other hand, the wide operation base and multiplicity of functions calls for induction of manpower at regular interval of times. To extend that staffing and recruitment support to the medical and healthcare sector, medical staffing services are provided by dedicated and professional recruitment agencies. These staffing agencies provide on demand and effective medical staffing solutions that are in sync with the requirement floated. Apart from providing quality medical staffing services, these medical staffing agencies provide necessary support to the job seekers by registering them in their database and referring to them vacancies that are in sync with their skill set and experience. Alliance recruitment agency has been offering medical staffing services to its clients located Pan-India and abroad. The efficiency of our service delivery has made as a popular name in the domain of staffing and recruitment solution support. We take into consideration the needs of both the employers as well as that of the job seekers. Medical staffing solutions comprise many different service packages. From nursing staff solutions to Doctors recruitment solutions and from part-time hiring to full-time hiring of employees all kinds of services are covered under the medical staffing solutions. Based on the needs of the firms, customized medical staffing solutions are offered by a medical staffing agency. To ensure the quality of manpower solutions delivered; these agencies ask for a detailed list of requirements and the description of job profile form the respective client and work accordingly on the solutions. At, Alliance we prepare solution delivery strategy in sync with the requirements that clients provide. We commit to offer services in a dedicated manner. Medical staffing agencies provide many benefits to the employer and job seekers. 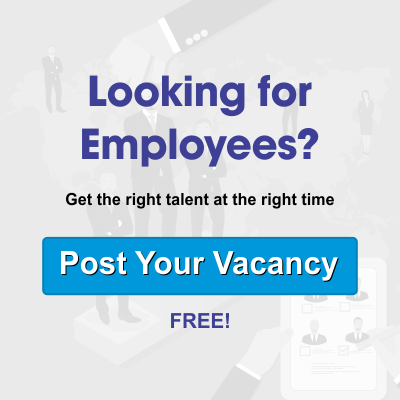 These staffing agencies act as a link or bridge between the two parties (namely employer and job seeker) and connect them on common terms. When you choose Alliance as your staffing agency, you can rest assured about encashing all the benefits as mentioned above. Medical recruitment agencies across the country are providing significant support to the medical healthcare ecosystem. To get that best of manpower solutions and one-stop platform for all medical domain related recruitments you can trust on Alliance as your medical recruitment agency.